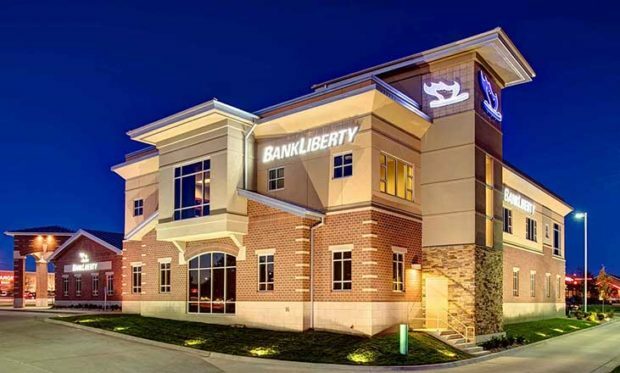 Central Bancompany, the parent of Central Bank of the Midwest, is purchasing Liberty Bankcorp, owner of BankLiberty, in a $42-per-share stock deal that totals $103.7 million. The transaction, expected to close in the third quarter, will bring Central to $2.3 billion in combined assets, which includes $1.9 billion in deposits and $1.7 billion in loans. The addition of Liberty’s 13 branches, in the Northland and Independence, will bring Lee’s Summit-based Midwest’s total to 46 around the Kansas City metro area and Lawrence, Kan.
“This opportunity allows us to expand our footprint north of the river in Kansas City, an area we have wanted to be in for some time,” said Bill Ferguson, president and chief executive officer of Central, in a press release. Central’s holdings total about $13 billion. It owns 13 full-service banks under the “Central” banner in several regions with more than 250 locations, in Missouri, Kansas, Colorado, Oklahoma and Illinois. The Liberty acquisition follows several other bank mergers that have taken place in the last year. In January Dubuque, Iowa-based Heartland Financial agreed to buy the parent of Overland Park-based Blue Valley Bank and its $725 million in assets, in a deal that is expected to close this quarter. Last year Topeka-based Capital Federal Financial bought Capital City Bancshares and its $434. 1 million in assets. Meanwhile, last year Liberty purchased Lawson Bank, with its four branches and $125.5 million in assets.